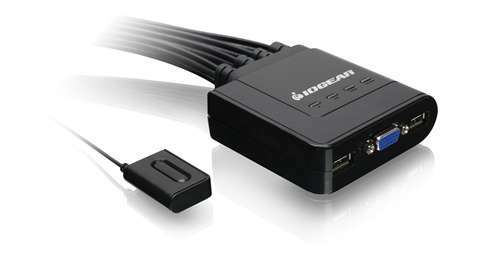 IOGEAR's 4-Port USB VGA Cable KVM allows users to share a VGA monitor, a USB mouse, and a USB keyboard between four computers. It is the ideal competitively priced - entry level KVM solution that allow users to multitask with ease. 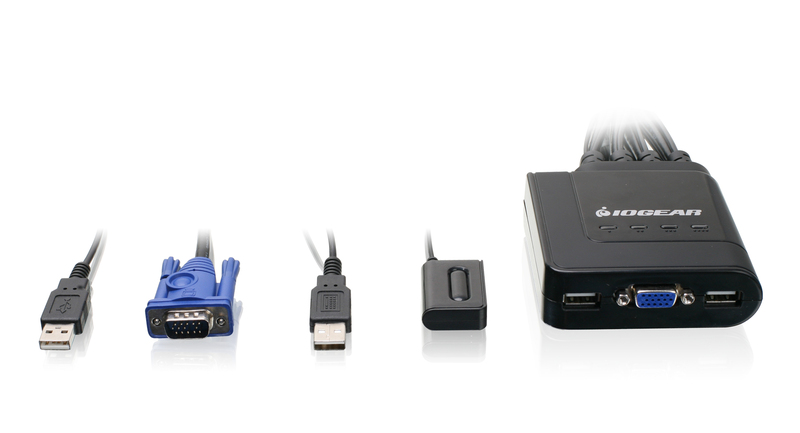 This USB VGA KVM switch offers an out-of-box solution with no additional cables needed. The USB KVM cables and remote switch are already built in the switch. Conveniently switch between computers by using the 6ft wired remote switch button. 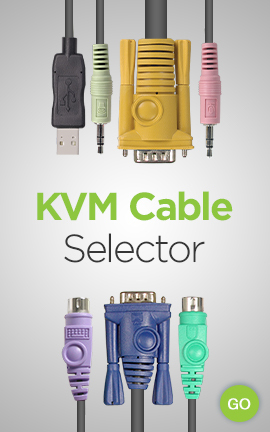 This cable KVM switch does not require a power supply as it is powered through the USB bus connection. The 4-port KVM switch also supports multiple operating systems including Windows, Sun, and Mac. It is entirely plug-n-play solutions with no software to run. 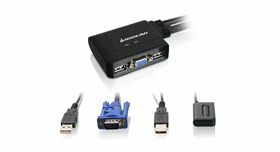 The 4-port USB VGA KVM switch also offers a cost effective solution to increase security by allowing users to switch between the Internet connected PC and an Intranet connected PC, a way to boost Internet security.